Retirement planning is an essential piece of an individual’s financial world. Can you discuss your approach to helping clients start the planning process for this big step? The key to successful retirement planning is timing and managing expectations. The discussion begins during the intake process at the start of a client relationship and continues regularly until retirement. We set goals, assess resources, discuss social security claiming strategies and everything in between to see a clear path to a successful retirement. We find ourselves in a time when Women’s empowerment is at the forefront of many people’s minds, and women are reportedly feeling more in charge of their own futures than ever before. Have you seen this influence how your female clients view their finances, in particular, their retirement plans? Women have always been a large part of my business, and I have to say that I’ve never noticed a difference between the way they handle their finances versus my male clients. Women in my practice like to plan for retirement early and feel confident as they approach that transition, knowing they have done their best to secure the resources needed. With nearly 30 years of experience in the securities industry, you have advised clients through many of life’s ups and downs. Is there a common theme or lesson you think investors should keep in mind regarding their portfolios? I have encouraged my clients to look at the market with a macro approach, which means to weather short-term volatility for the rewards of a long-term investment strategy. Do you have any advice for the rising generation starting their own investment journey? For young people entering into the investment world in this day-and-age, my advice is to invest in what you know, learn and pay attention to those investments, and remain invested over the long term. Invest in your retirement from day one of your employment and build a financial future you will one day appreciate more than almost any other decision ever made. What about for women starting out in this field or starting their own practice? Women entering into the financial services industry today are at a distinct advantage by the fact that women in the workforce have more resources than ever before and, many of them prefer working with other women when seeking financial guidance. 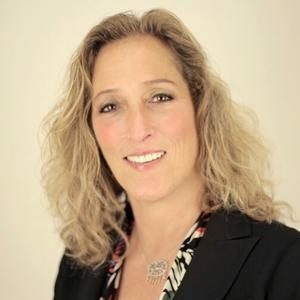 Tracy Cohen serves as Senior Vice President of Investments at North Shore Wealth Management, LLC / National Securities Corporation. With over 29 years of experience in the securities industry, Tracy holds her Series 7 (General Securities Representative), Series 63 (Uniform Investment Advisor Law Exam) Series 65 (Investment Advisor Representative), New York State Life and Health Insurance licenses in addition to the professional designations of Chartered Retirement Planning Counselor (CRPC®) and Certified Social Security Claiming Strategist (CSSCS). 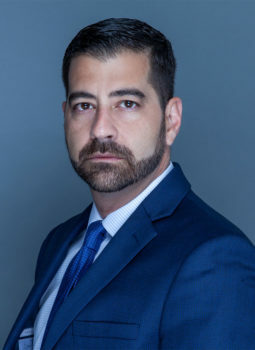 Tracy Cohen is a Registered Representative with National Securities Corporation, member FINRA/SIPC and an Investment Advisory Representative with National Asset Management, an SEC registered investment advisor. She uses North Shore Wealth Management, LLC for marketing and/or tax purposes, but offers securities and advisory services through the broker dealer and registered investment advisor mentioned directly above.